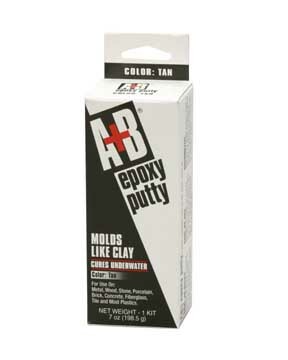 An easy-to-use, two part putty you simply mix and mold like clay – no complicated weighing or measuring required. Easy 1:1 “cut-what-you-need mix ratio” Form it into any shape. It hardens in one hour and makes a final, steel-hard cure in 12 hours. Cures under water.